From the first prototypes of flying machines to today's supersonic jets, the history and roles of aircraft are explored in this beautifully illustrated guide. Aviation enthusiasts of all stripes and ages will welcome learning more about key brands and big players from yesterday and today — whether it's the marvels of hot air balloons or the fantastic engines of Boeing, Lockheed, and more. 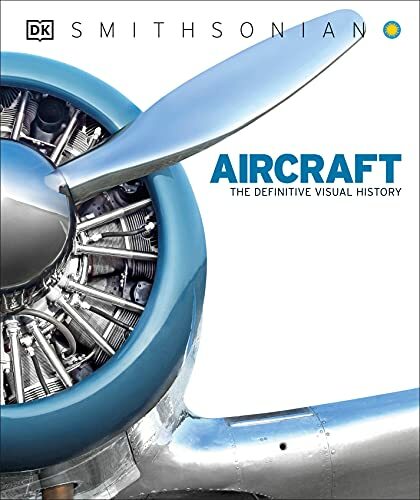 Planes are divided equally between military and commercial aircraft, and iconic aircraft of each era, such as the Supermarine Spitfire and Concorde, are showcased in beautifully photographed spreads with "virtual tours" that reveal the anatomy of these legendary planes. Produced in association with the Smithsonian Institution. Philip Whiteman is an award-winning aviation journalist and consulting engineer, specializing in fuel and engine technology. He has contributed to numerous aviation publications, and has flown a number of aircraft. He operates a 1944 Piper L-4H Cub. DK was founded in London in 1974 and is now the world's leading illustrated reference publisher and part of Penguin Random House, formed on July 1, 2013. DK publishes highly visual, photographic nonfiction for adults and children. DK produces content for consumers in over 87 countries and in 62 languages, with offices in Delhi, London, Melbourne, Munich, New York, and Toronto. DK's aim is to inform, enrich, and entertain readers of all ages, and everything DK publishes, whether print or digital, embodies the unique DK design approach. DK brings unrivalled clarity to a wide range of topics with a unique combination of words and pictures, put together to spectacular effect. We have a reputation for innovation in design for both print and digital products. Our adult range spans travel, including the award-winning DK Eyewitness Travel Guides, history, science, nature, sport, gardening, cookery, and parenting. DK’s extensive children’s list showcases a fantastic store of information for children, toddlers, and babies. DK covers everything from animals and the human body, to homework help and craft activities, together with an impressive list of licensing titles, including the bestselling LEGO® books. DK acts as the parent company for Alpha Books, publisher of the Idiot's Guides series and Prima Games, video gaming publishers, as well as the award-winning travel publisher, Rough Guides.